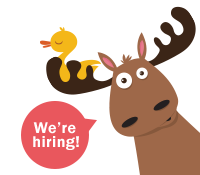 Duck Duck Moose is a wholly-owned subsidiary of Khan Academy, a nonprofit with a mission to provide a free, world-class education for anyone, anywhere. Please support Khan Academy so we can keep our apps free, enable all children to have access to a world-class education, continue to create more content, and reach more students. Khan Academy is a tax-exempt 501(c)(3) nonprofit organization (Tax ID Number: 26‑1544963). Your gift is tax-deductible as allowed by law.